Illustration by John Frederick Miller, (active 1772-1796), from his 'Cimelia physica: Figures of rare and curious quadrupeds, birds, &c. Together with several of the most elegant plants', published in 1796. Exotic bird and flower, 1776. Crossbill, lily and butterfly, 1776. 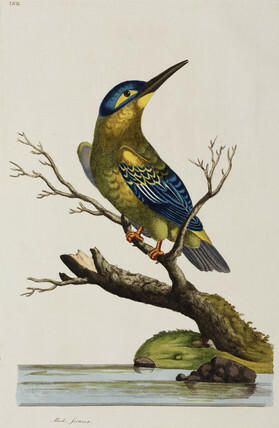 Crossbill and tropical flower, 1776. Exotic bird and lily, 1776.